I love Music K-8! I am so happy I found you. Without this resource I probably would not be a music teacher. It is difficult teaching from outdated materials (hardcover books from 1990 that our administrators think are good). Music K-8 is affordable and user-friendly. I love this magazine... and the Music K-8 Mailing List. I know that I can search and get all sorts of ideas of ways to use the materials, and get other perspectives on classroom management, techniques, etc. The quality of the CDs and the way the songs entice the students make teaching music one of the best parts of my day. Plank Road, you make me look good! I used most of the songs from this issue for our school program, and on the day of the program, I slipped and gave myself a concussion. The show went on without me, thanks to the CDs and memorable lyrics (and a paraprofessional who reads music). I'm not sure if even the kids realized that I wasn't there. Isn’t it great to have a place to go to talk to colleagues, ask questions, discuss teaching techniques, and share personal stories? I would never want to teach without my Music K-8 magazines and this fantastic e-mail list. This series has been a godsend to me at my school. Especially the program songs and the recorder pieces. Thanks for everything. I love this magazine. I have used it since I began teaching, and I am about to retire, so that alone says a lot. I look forward to getting it. It would be nice if it came out every week and had all our lessons planned for us and all the music we need to teach right there in our hands. It is the closest thing I have come to that. Thanks for doing such a great job. 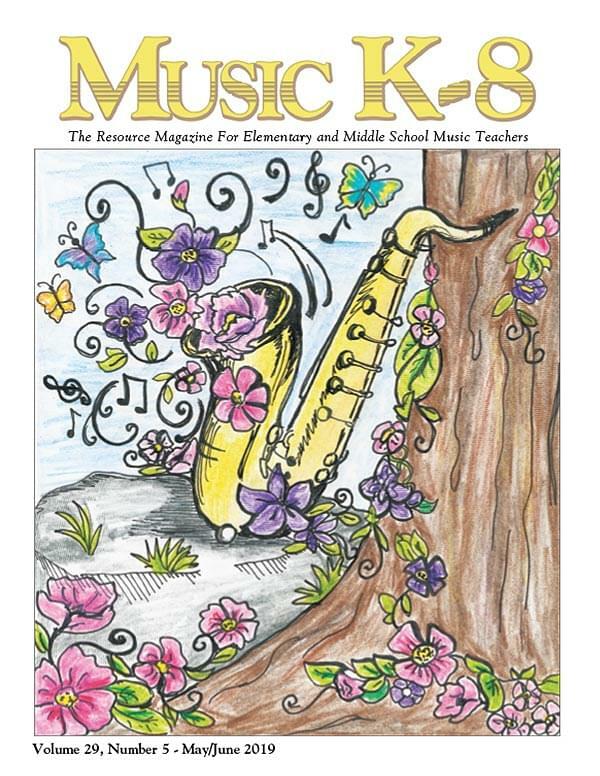 Next year, I will discontinue [competitor’s magazine] but continue with Music K-8 because my students love the music. I appreciate the affordabililty and generous copyright of Music K-8 magazines. I also love that I can order "singles" from back issues and download them to my computer. If my budget gets cut down to zero, I am confident that I could and would purchase the subscription myself. Lastly, I just really appreciate the "family atmosphere" that your company has. I always think that if we ever move North that I would love to work with Plank Road. Thank you for all of your hard work for music education! I really love Music K-8 and CONSTANTLY use your resources in my classroom. Keep up the good work. You guys are greatly appreciated! I don't think I would still be teaching if I didn't have Music K-8 as a resource. I know I can find a song for ANY theme, activity, lesson, or situation that I want to use in my classroom, and I thank you all for that. You make our jobs much less difficult! I LOVE, LOVE, LOVE the Digest Mailing List! I so appreciate your contribution to music education. Your arrangements are met with so much enthusiasm by my students. I have gotten so many great ideas from your Mailing List Archives, and the Recorder Karate site is the best! You have been so helpful and added so much to my teaching that I always check your site first and purchase from you whenever possible. Thank you again. YOU GUYS ARE AWESOME and it seems like a great, friendly, and productive place to work and be a part of a winning team. Just as the saying in my music room states: "Team work makes the dream work." Keep doing what you are doing! You ARE THE magazine for music teachers. Love your publication and will continue to purchase to keep my subscription current. I “inherited” years 1-8 and have purchased ever since! I'm really happy with all the songs and recorder music available for the age I teach. It makes my teaching so easy. Thank you so much. I love Music K-8 because the music fits both my budget and the needs of my students! I truly enjoy your magazine. I don't always have time to read it right away, but I always find time to listen to the CDs. The previews are also something I enjoy listening to, because it helps me plan for whatever shows I may be in the process of planning. If there is a new song available, I'll add it in, and then I am anxiously awaiting the magazine’s arrival so I can begin teaching it right away! I also think that the songs are so inspiring and upbeat that it is almost impossible to fail! Just add a few props, dance steps, costumes, and appropriate text, and link a few songs together on a particular subject and, “Presto!” - instant show stopper! Thank you for all of the wonderful resources you have provided. I can use your excellent compositions for all of my concerts! Keep up the great work! Music K-8 is one of my main resources! I really LOVE Music K-8. Your products are so teacher-friendly, and my students love the content of Music K-8. THANK YOU for existing!